Speaker of New York City Council Melissa Mark-Viverito — Congratulations! 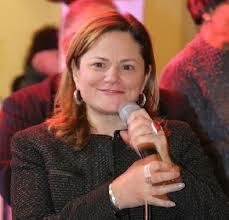 Melissa Mark-Viverito (born April 1, 1969) is the Speaker of the New York City Council. She is the member from the Council’s 8th District, which includes the northernmost part of the Upper East Side, Spanish Harlem/El Barrio/East Harlem, Manhattan Valley and part of the Upper West Side as well as part of Mott Haven in the Bronx. Her district also includes Randalls and Wards Islands and Central Park. She was elected as Speaker January 8, 2014 and succeeds Christine Quinn. 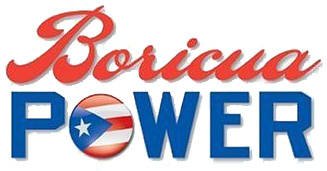 Mark-Viverito was born in Bayamón, Puerto Rico, she came to New York at 18 to attend college, earning a BA from Columbia and a master’s from Baruch College. She is not married. Her hyphenated last name comes from her late father, Anthony Mark, and the maiden name of her mother, Elizabeth Viverito. 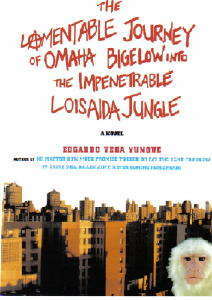 Her father was a doctor and a founder of San Pablo Hospital in Bayamón, where her mother still lives. She graduated from Columbia University in 1991 and earned her Master of Public Administration degree from Baruch College, City University of New York in 1995. 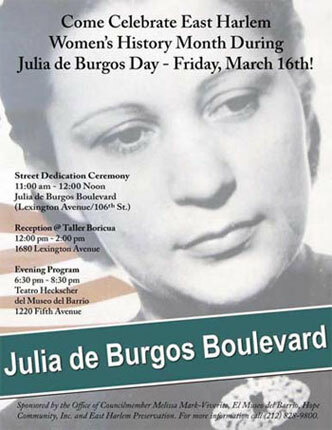 She is a former member of Community Board 11, coordinator of the movement Todo Nueva York con Vieques and president of Mujeres del Barrio. Mark-Viverito ran unsuccessfully against Philip Reed for City Council in district 8 in 2003. Before running for City Council, Mark-Viverito was Strategic Organizer for Local 1199 of Service Employees International Union (SEIU), an influential health care workers union. Mark-Viverito was elected to her first term in the City Council in 2005. During her first four years in office, she sponsored and passed several pieces of legislation, regarding tenant harassment, building safety, green buildings and park conservancies. Mark-Viverito is currently in her third term and serves as Chair of the Council’s Parks & Recreation Committee. In March 2010, Mark-Viverito and 11 other Council Members announced the formation of the City Council’s Progressive Caucus. She currently serves as Co-Chair of the Caucus along with Brooklyn Council Member Brad Lander. In November 2013, the New York Daily News cited Mark-Viverito as “the front runner” for “New York City’s second most powerful political post – Speaker of the City Council.” According to Politicker, a grassroots effort to boost the Speaker candidacy of Mark-Viverito – including social media, fliers, phone banking, and volunteer recruitment – was involved in the effort. Mark-Viverito was elected City Council Speaker on January 9, 2014 at age 44.